金沢おもてなしの宿 | Let’s ski in Ishikawa HAKUSAN! Let’s ski in Ishikawa HAKUSAN! 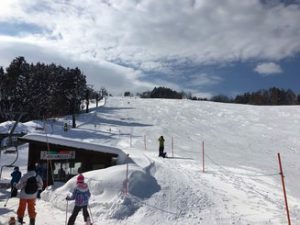 現在位置: ホーム / topics(english) / Let’s ski in Ishikawa HAKUSAN! Enjoy world famous Japan skiing! Japan is a nation of rugged mountains, and the northwest coast is one of the snowiest places on the planet. For those of us who love schussing down a mountain, here is what that means for you.